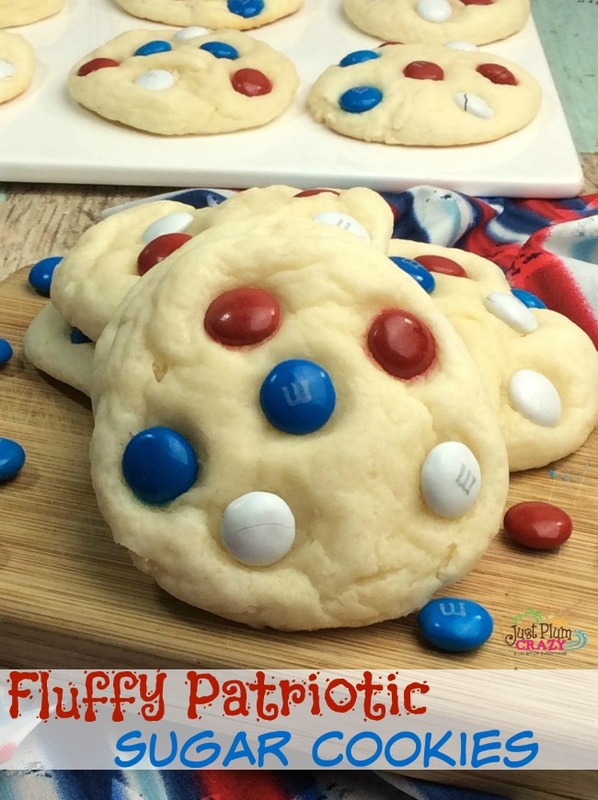 Fluffy Sugar Cookies Recipe With A Patriotic Flair! 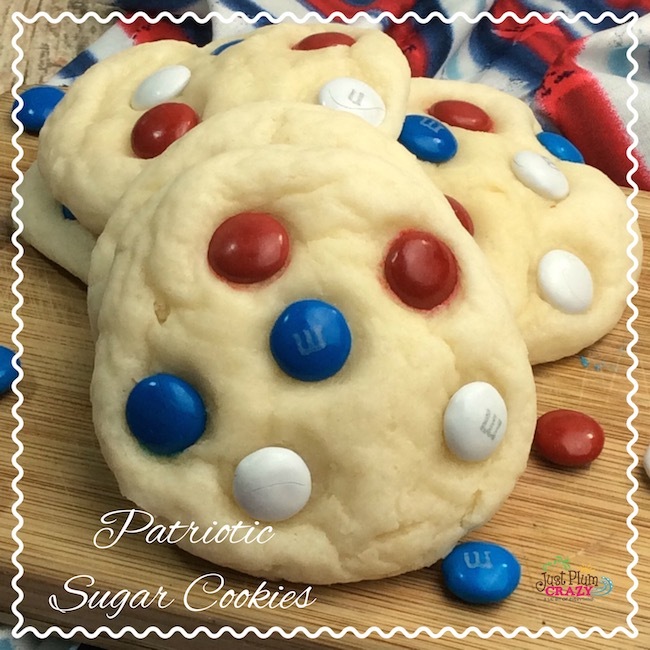 There is nothing yummier than a classic old style sugar cookie! From generation to generation they have been loved and eaten by kids – and adults – and this recipe is no different than those classic recipes except they are a bit fluffier than their harder flatter ancestors. 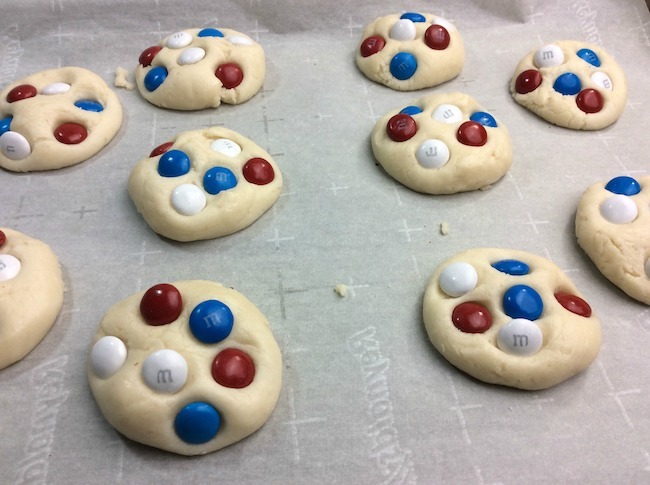 American Independence Day is always an excuse to get together for some great food, like the Fluffy Patriotic Sugar Cookies Recipe and fireworks. 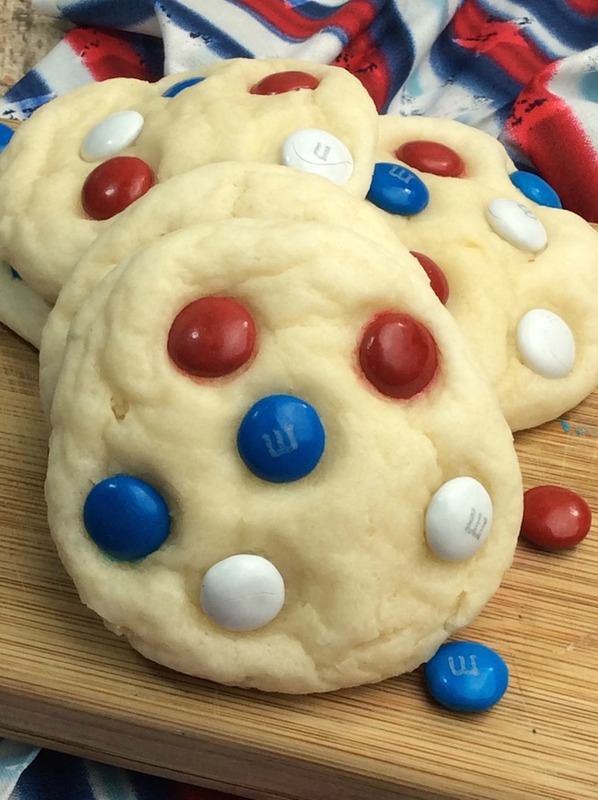 While you’ll find traditional foods vary widely, people are always looking for new and great 4th of July recipes to try. 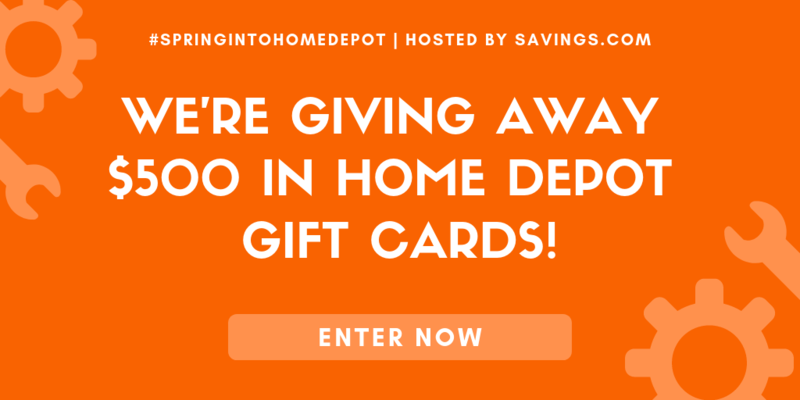 Share your favorite grilling recipes, salads and other items perfect for a picnic and you can’t go wrong. 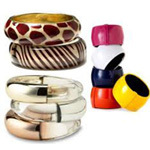 You can also come up with creative ideas that include a red, white and blue theme. Try topping some broiled angel food cake with fresh strawberries, blueberries and whipped cream! We also have our Patriotic Grill Cake recipe that is a big hit with those that love their grills in the summer! 2. In a large mixing bowl, combine the cake mix, oil and eggs and mix until combined. 3. 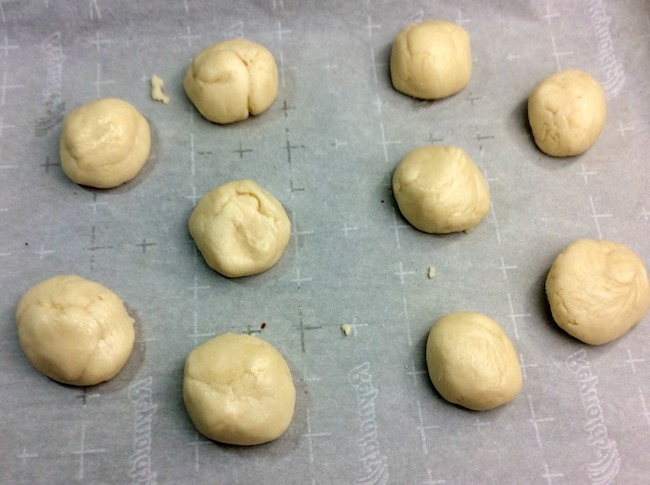 Using the ice cream scoop, scoop some dough onto the cookie sheet. 4. 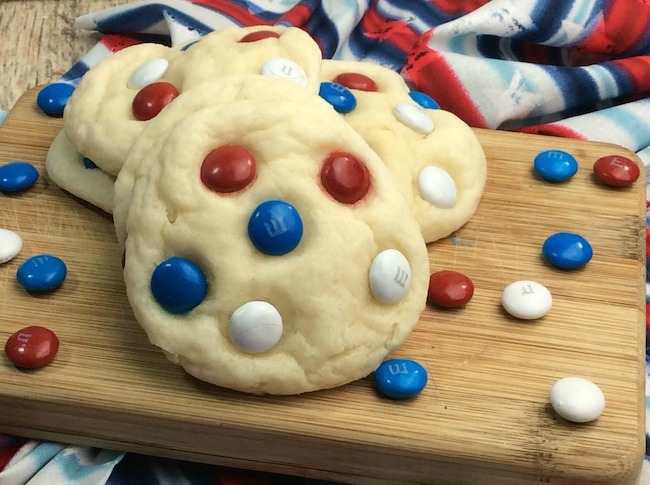 Add some of the M&M’s on top. 5. Bake at 350 for 8-12 minutes or until golden brown. 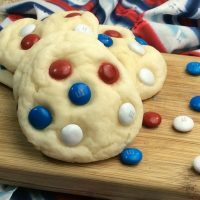 Delicious classic sugar cookies with a touch of fluff and a patriotic theme making it the perfect summer sweet treat.